I love this guy, he’s big and well-made but doesn’t really seem to fit his surroundings. I’m sure there is a good story to how he came to be, where he is, but unfortunately I don’t know it. 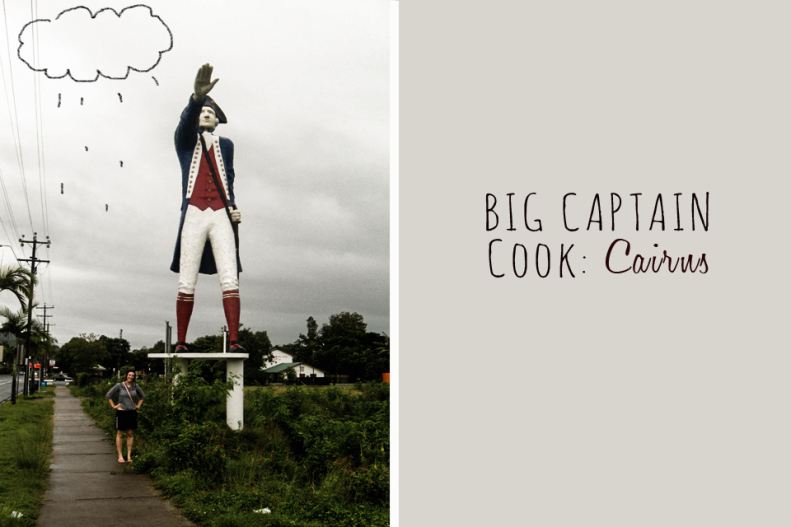 UPDATE: A reader, Dan has let us know more of Captain Cook's backstory “Big Jimmy was built as a drawcard to the captain Cook motel which has since been demolished. So now he is just standing there pointing out to a random direction for no apparent reason” Thanks Dan!